Get Sindh High Court Jobs 2019 Application Form | www.sindhhighcourt.gov.pk from this page. Applications are currently offered from the High Court Sindh for Karachi, Hyderabad, Larkana & Sukkur for the well disciplined, calibre and adroit applicants are required to apply for the following posts given below. 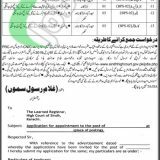 Jobs in Sindh High Court are such as (Security Coordinator (BPS-10), Lift Operator (BPS-06), Electrician (BPS-05), Dispatch Rider (BPS-05), Daftari (BPS-05), Farash (BPS-03), Chowkidar (BPS-03), Sanitary Worker (BPS-03), Gardener (BPS-03), Naib Qasid (BPS-03), Generator Operator (BPS-02), Plumber (BPS-02), Carpenter (BPS-02)). Only domicile holders of Sindh and nationality holders of Pakistan are eligible to apply for these posts. The appointment will be made on a temporary basis but it can be permanent on satisfactory performance of an individual. So, after discussing these details now, I will make you aware of its rest of the details below. High Court is the Government body which is Governed by the Govt of Pakistan and is held responsible to look after all the issues of judiciary on the higher level and solves all the levels. So, as here we are talking about the High Court Sindh so it is governed by the Govt of Sindh and being a Govt department it offers Govt jobs of all educational levels. Intermediate/Matric/Middle and relevant diplomas are required to apply for the relevant post. Age of applicant should be between 18 to 28 years. Candidates are required to apply on an online application form available at www.JobsAlert.pk. After filling application form submit it along with attested copies of educational certificate, experience certificate, CNIC, domicile and recent photograph to the following address given below. Only shortlisted candidates will be called for interviews/test. 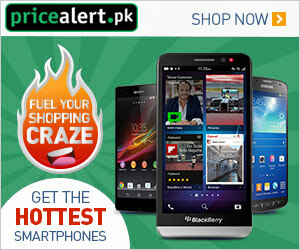 Address: Registrar, Sindh High Court, Court Road, Karachi.